It's summertime, which means lots of movie nights in my house. With the kids out of school we don't have to wait for the weekends to roll around to stay up late and curl up with a movie as a family. What goes perfectly with family movie nights? Pop Secret popcorn! You know what might ruin an otherwise perfectly great move night? Burned popcorn. Do you know how many times I've burned and ruined a bag of microwavable popcorn? Too many times to count. It can be tricky to get the timing just right, and just a few seconds too long in the microwave can lead to stinky, blackened popcorn that goes straight into the garbage can. First, download your app here. You must have an iPhone 5+ on IOS 7+. 1. Then put a bag of Pop Secret in the microwave and enter suggested cooking time from the packaging. 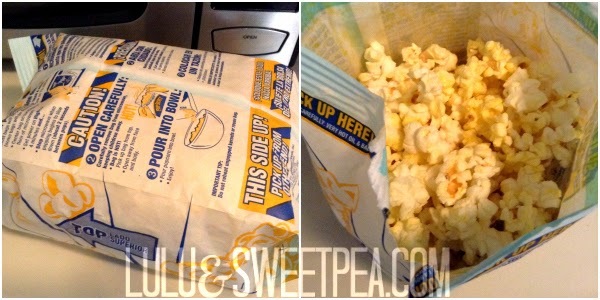 Note: Perfect Pop is optimized for the deliciousness of Pop Secret popcorn only. Turn up the volume on your iPhone. Point the phone’s speaker towards the microwave and keep within 3 feet. Start the microwave, and then start the app. 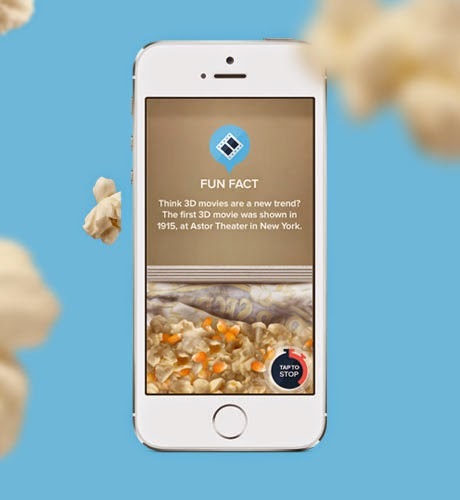 No more relying on the popcorn button or guessing how many seconds in between pops. Pop Secret is serious about perfect popcorn, so the less you have to worry about, the more time you can spend enjoying movie night with your friends & family. 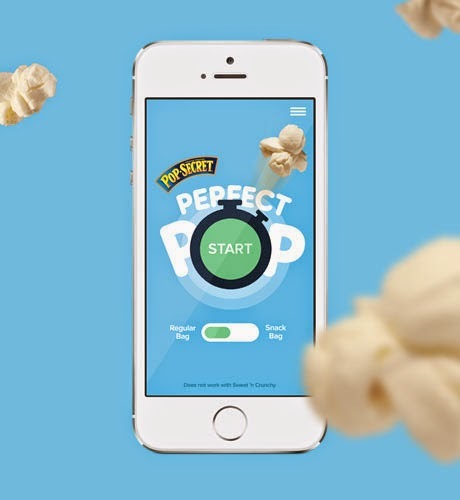 Perfect Pop listens to the pops, waiting for the precise moment to let you know when your popcorn is perfect. 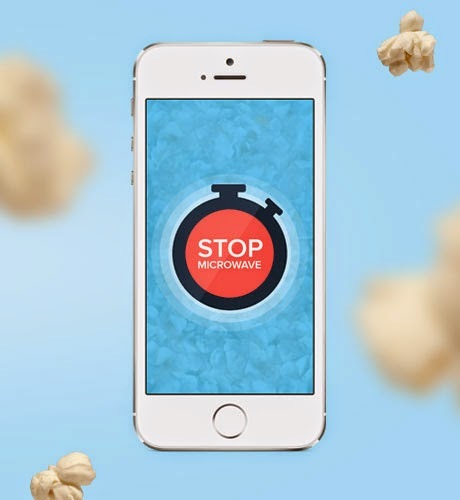 The kids thought the app was really cool, especially because of how it was "listening" to the popcorn and it really did tell us when to stop the microwave. The result was perfectly delicious, buttery popcorn! Time to go enjoy a movie now! What do you think of the Pop Secret Perfect Pop app? If you have a minute, please take this quick survey about Pop Secret. 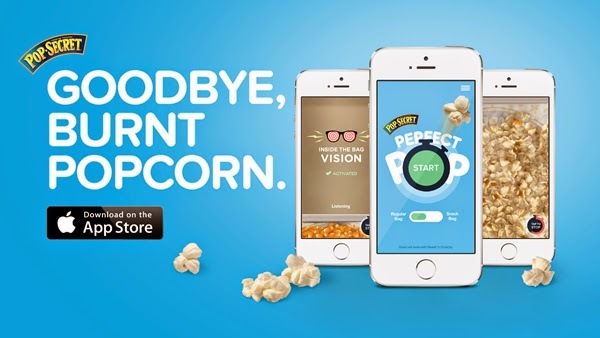 Make sure to go download it for free in the app store and make movie nights perfect.